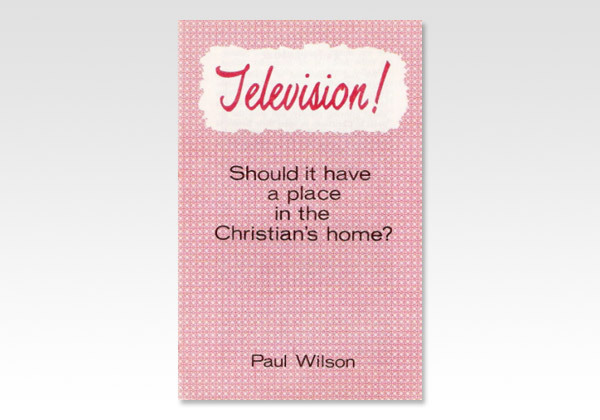 Believers Bookshelf - Television, Should it have a place in the Christian's home? We feel constrained to examine the subject of television in the home, especially as it affects the Christian. With this latest giant of the entertainment world growing rapidly, and with the appeals to Christians to open their homes to this masterpiece of human invention increasing, it seems that the question should be faced squarely. A question once - put to King Hezekiah by the prophet Isaiah may be appropriate in this connection - "What have they seen in thine house?" 2 Kings 20:15. This modern medium of communication will bring an assortment of sights into the home for the mental fare of its occupants and its guests. Will it be to God's glory? Will it further occupation with heavenly things? Will it be a means to help us grow in the knowledge of our Lord and Saviour Jesus Christ? Or will it be one more thing to distract us from the only One who is worthy of being our chief occupation?